ISO IEC 17025 Accredited | Precision Environments Inc.
ISO IEC 17025 A2LA’s Calibration field includes measurements typically conducted by standards and calibration laboratories for a variety of measurement quantities. This program is applicable to all types of calibration laboratories, including those that calibrate reference standards as well as measuring and test equipment (M&TE). ISO/IEC 17025 General requirements for the competence of testing and calibration laboratories is the main ISO standard used by testing and calibration laboratories. In most major countries, ISO/IEC 17025 is the standard that most labs must reach accreditation in order to be considered technically competent and in good performance. In most cases suppliers and regulatory authorities will not accept test or calibration results from a lab that is not accredited. Originally known as ISO/IEC Guide 25, ISO/IEC 17025 was created by the International Organization for Standardization in 1999. There are many commonalities with the ISO 9000 standard, but ISO/IEC 17025 is more specific in requirements for competence, and applies directly to those organizations that produce testing and calibration results for laboratories. Precision Environments has been an ISO IEC 17025 accredited laboratory design build company for many years. Our team of experts are skilled in calibration and laboratory designs that meet and often exceed the expectations of our customers. 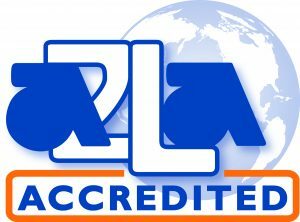 Calibration laboratories are assessed against the general criteria found in ISO/IEC 17025:2005 General Requirements for the Competence of Testing and Calibration Laboratories and the specific criteria found within the Calibration Program Requirements developed by A2LA. The A2LA Measurement Advisory Committee (MAC) has also developed a document which compiles all consensus decisions related to the Calibration field. Our Laboratories use ISO/IEC 17025 to implement a quality system aimed at improving their ability to consistently produce valid results. It is also the basis for accreditation from an accreditation body. Since the standard is about competence, accreditation is simply formal recognition of a demonstration of that competence. A prerequisite for a laboratory to become accredited is to have a documented quality management system. The usual contents of the quality manual follow the outline of the ISO/IEC 17025 standard.